Flicking through the Argos catalogue I found the 10''' Plush Adipose. I bought it straight away. 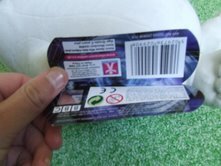 The packaging is hardly recognisable as Doctor Who packaging. 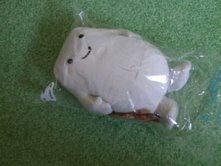 This Adipose is packed in a 'bag' of see-through plastic. Nothing else to the packaging. So when you buy this, please don't say "Can I get this cheaper because some packaging is missing?" Because it isn't. 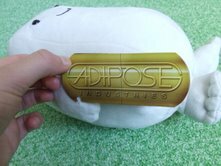 On the Actual Adipose is a tag. 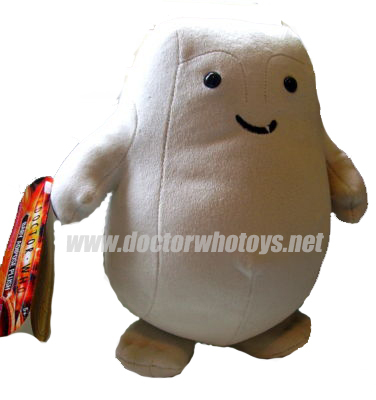 That is the only thing to tell you that its a Baby Adipose Plush. 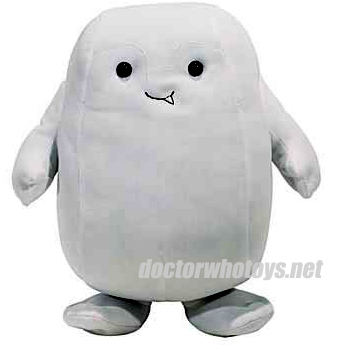 The Adipose itself is really cute. Its really squishy with really weird beans inside. It doesn't speak or make a sound as do other plush toys eg Rex from Primeval Plush does make noises. Overall this item is fantastic and very well detailed with one tooth hanging out. Extremely good, cute and soft, I would give this 10/10 because I didn't want it to make noises anyway!